Doc McStuffins team is well prepared and ready to fight against any disease. They are all ready to cure whatever daily life throws at toys and stuffed animals from the Doc’s Kingdom and even beyond! If you played a few games on our website and regularly checked our blog, you are already acquainted with Doc’s fabulous team. 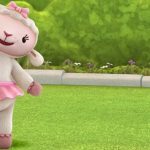 It’s Doc herself, Lambie, the stuffed lamb who adores cuddles, Chilly, who has a great fear of melting, although he has nothing to fear of, since he is a stuffed (stuffed!!!) snowman, Hallie and of course the famous Doc McStuffins Stuffy. 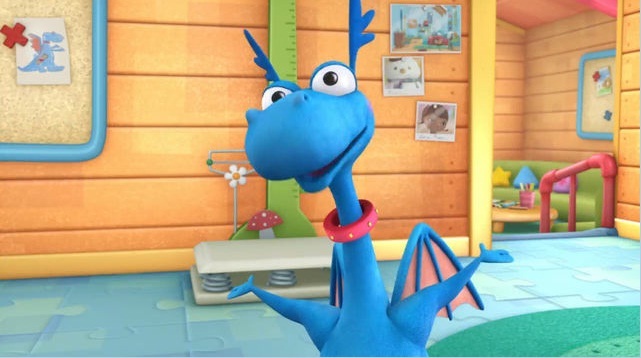 Now Stuffy is a very friendly and funny stuffed dragon. You might find him a little naive. In his gullibility, he indeed believes that he can throw fire from his mouth, like dragons from How to train your dragon or Harry Potter series. But he never manages to let a single flame, which sometime confuses little Stuffy. Unlike many other cartoon characters, Doc McStuffins Stuffy doesn’t always dress the same. If you played Winter Games on our website, alike Snowman Roll-up then you may have noticed that Stuffy wears different outfit, depending on the weather. You may like him wearing a pirate outfit in the All Washed Up episode, so make sure to watch it. At times, Stuffy, the stuffed dragon might be a little clumsy. One might notice that easily while playing the related games. For instance, in Stuffy’s Scramble game he performs various tricks, usually trying to copy some of Dottie’s patients, but frequently fails. That makes him even more adorable! He is loyal and always friendly with Doc and her patients, so you will be good friends, surely. Unlike any other dragons, he is not fearless. He has his own little fears like spiders! Don’t ever show Stuffy a spider, or you might very well frighten him to death. Did you play Sparkly Ball Sports? This game consists of other few games, mainly played with balls. A game Stuffy adores to play is Astro Ball. Play with him a round or more and see how happy that makes him. However, be careful – yo don’t want to injure Stuffy like Dottie did in the Un-Bur-Able show episode. Do you remember it? The friends were having fun playing Astro Ball (no, we don’t need any space helmets for that!) and Stuffy fell into a bush. That got poor dragon all filled with burs. The right time for Stuffy to prove he is a brave dragon, while Doc clears his cloth of burs. So how do you think, does make sense to call Stuffy a brave dragon, or not? Here on our blog we believe he is a brave dragon. He is also a good friend, from what you can interfere from the episodes so far. You can watch putting Robot Ray a diagnosis when Doc is out from the clinic in the episode Diagnosis Not even Close-is. You’ll enjoy Stuffy quarrelling with Hallie about Ray’s diagnosis. Isn’t that what happens all the time with real doctors in real hospitals? Stuffy’s personality is indeed funny to explore, so dive right into it. Enjoy!